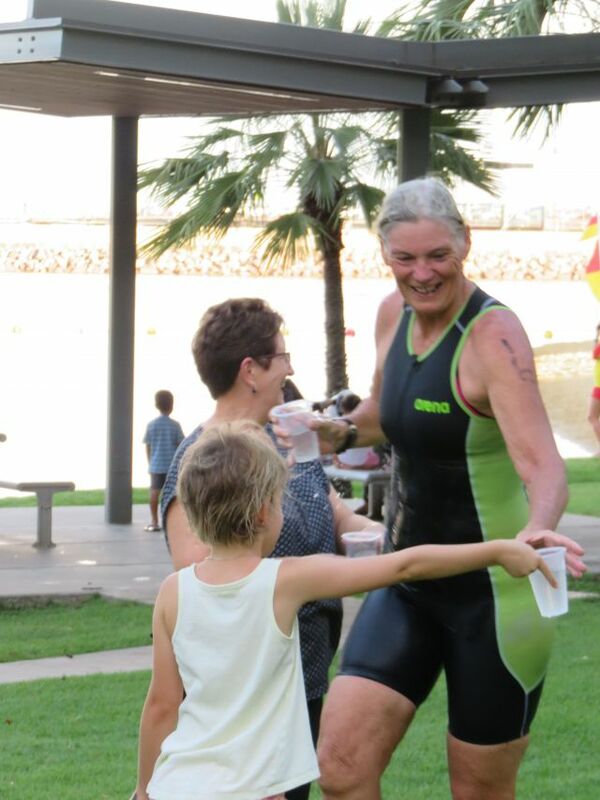 What a great turnout at the Waterfront on Saturday evening for the first of our wet season Aquathlons. It's a popular course and reflected in the numbers. A big welcome back to those who came out of the woodwork for this - catch up time all round! Again we had Alan Barrett as RD and we offer Al a huge thank you (always a willing volunteer, he has also been using time out for injury to give back to the club in the RD role and we really appreciate his contribution. We are however hoping to see him back on the otherside of the fence, ie on a start line soon). Thanks also to rego wizards Kim Baldwin & Kerri Thomas and super shopper Jamie Baldwin who took care of our yummy post race refreshments (and ice). To those who just pitched in to help where needed, we are also grateful for your help. Our events are amazing because of our fantastic volunteer culture & we thank you! Early entrants get the chance to win a club tee shirt this time - 10th and 20th received will win - hop to it! 1. If you would prefer to do X 2 (or even X 1) at this event, just let us know at check in. You will still earn a participation point on the pointscore. 2. If you only wish to run and can't find a team mate, enter as an individual and we can allocate you a swimmer - again set this up at check in. 3. If you only wish to swim, we can allocate you a runner - ditto, mention at check in. 1. Juniors will have received email direct from our junior co-ordinators regarding event info. 2. Please email darwintriclubjunior@gmail.com if your children are attending. 1. We have a limited number of junior tri tops, tri shorts & kids club cotton tee shirts available. 2. NTG Sports Vouchers can be used to purchase these. 3. Supplies are limited so orders will be on a first come basis. 4. Because Sports Vouchers can be used we can't do a normal order process for our junior kit so please place your order here & check payment options. 1. We have had more members wanting to buy our custom tri gear so we have set up a quick turnaround order & have again made items available with subsidy ie at less than cost price. 2. An email was sent earlier to those who had expressed interest and we already have enough orders to proceed. 3. You can order tri suits, tri tops and club run tees (limited sizes, numbers in the run tees, not to be confused with our club cotton tees) this time and the turnaround from order to delivery will be short. 4. Closing order off at 8pm this evening so it can be collated tonight and lodged first thing tomorrow. 6. We rarely have spares, so don't miss this opportunity. Next order won't be until mid/late 2017. 7. We do however have 1 x men's Medium sleeved tri suit ($165) available. The sleeved version isn't included in this current order, so if you were after one in that size, email now. 1. Are a big hit! 2. Cheap and cheerful, our club cotton tees are marching out the door. They are $15 each or 3 for $40. Kids sizes are $10. 3. If you wish to order and pick up at our next event, please email darwintriclub@gmail.com with size/s and we will let you know colour choices still available. 4. Want earlier, also let us know and we will talk pick up options. 5. ICYMI in the last E News the size chart (refers to actual shirt half chest measurement, not body size). 1. Former members also in action at IM Malaysia - Jason Cook 11:45:84; Emma Cook 12:42:29; Ashan Weerakkody 9:41:55 (Kona qualifier). 2. Committee is hoping to take delivery of our new fitted out equipment trailer this weekend. 3. Our old trailer will then be rewired and be placed up for sale. Watch this space. 4. We may have another working bee at the shed this weekend. Check our Facebook Page for confirmation. 5. Winners of our club T shirts for 45th & 55th entries in Aquathlon #1 - Tony Cox and Geoff Cronin, congrats. 6. Good news! We have secured Nightcliff Pool for our ConocoPhillips Xmas Splash N Dash (combined junior/adult event). Date saver: Saturday 10 December 16 5:30pm followed by sponsored BBQ and lucky draws. 7. With 2017 fast approaching we are now seeking to fill our required roster slots for next year's upcoming events. Please check the calendar & rosters here and email darwintriclub@gmail.com if you can fill any of the vacant positions. We need those key positions filled to go ahead with event. 8. Doing IM WA or IM 70.3 Busso in a few weeks (or any other events) we would love a heads up. 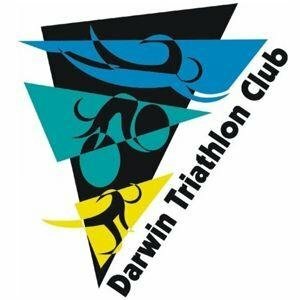 Don't forget to add Darwin Triathlon Club as your club as we are a registered IM Tri Club. 9. Former member Rowan Beggs-French lines up at the ITU World Xtri Championships at Lake Crackenback this weekend. Good luck! 10. Triathlon NT AGM 26 Nov 16 prior to our DTC event. Members will have received email direct from Tri NT with details.